PRESS RELEASE: The UK distributor for Japanese tyre manufacturer Yokohama has organised a charity rock concert to support the British Red Cross Japan Tsunami Appeal. Yokohama HPT Ltd has covered the cost of the concert, so that 100% of the proceeds will go directly to the appeal and support the victims of the earthquake and tsunami in March. The 'Sounds for Sendai' concert will take place on Sunday 22 May at the Marshall Amplification Theatre in Milton Keynes and will feature a stunning line-up headlined by the renowned Martin Turner's Wishbone Ash with support acts Stray and Motherlode. Not only will the evening feature a full compliment of rock, there will also be an auction of exclusive memorabilia, including a signed Yamaha guitar, a one-off 'Sounds for Sendai' Marshall Class 5 amplifier and the chance to join band Uriah Heep for a day as a roadie. Broadcasting legend David 'Kid' Jensen will be presenting the auction in addition to introducing the bands. The venue will have a full bar for the evening and there will also be hot and cold snacks available throughout the event. Yokohama HPT suggests a minimum donation to the appeal of £20 for each ticket, although greater sums will be very gratefully accepted. The company has also negotiated exclusive rates at the Doubletree Hilton Hotel just five minutes' walk from the venue for those coming from farther afield. Commenting, Yokohama HPT Ltd Managing Director David Seward said: "As a company, we wanted to support our colleagues in Japan and the thousands of people affected by this tragedy. We are pleased to be offering an evening of classic rock and are extremely grateful that these great bands are able to perform. "The concept has been very well received by our dealer network, who have responded very positively to it. We expect the concert to raise a significant sum towards the Red Cross appeal." 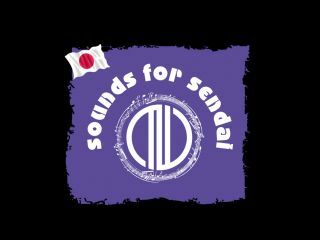 Anyone wishing to contribute to the appeal can obtain tickets by going to http://www.soundsforsendai.co.uk. For those not able to attend but wishing to support the cause, donations can also be made at the above website.